Sheffield Adventure Film Festival (shAFF) returns for its 12th year. Bringing the thrill of the wild outdoors into the city centre for three days, Sheffield’s celebrated annual film festival shAFF returns to the Showroom Cinema from March 17-19. 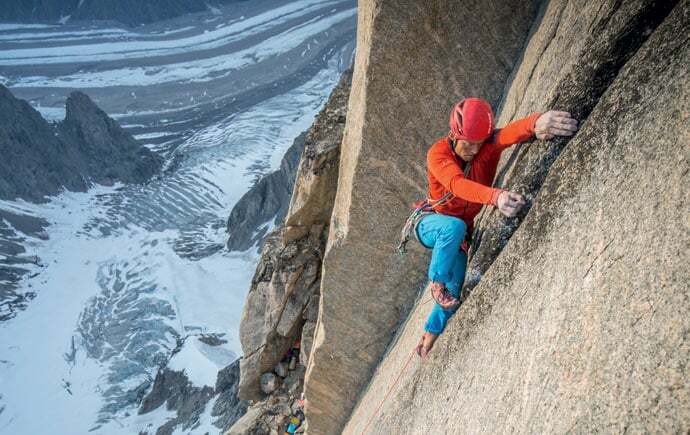 Presented this year by the British Mountaineering Council, a handpicked programme of over 100 of the best adventure and extreme sports films will be shown across five big screens. The festival takes place as part of the The Outdoor City Weekender, which sees a selection of action-packed events heading to the Steel City; from the Magnificent Seven hill climb and the Climbing Works International Festival to a wide range fringe events, there’s something for everyone to get stuck into. The films themselves will focus on a diverse selection of outdoor pursuits and adventure, with the Made in Sheffield film sessions shining a light on local people taking on inspirational challenges. Whether you’re into climbing, running, mountain biking, bikepacking, skiing, snow-boarding, kayaking or surfing, there will be films to keep you entertained. The popular Adrenaline Films sessions, a collection of exhilarating shorts played back-to-back in one roller-coaster sitting, are also back on the programme this year – while the family-friendly aspect of shAFF is taken care of through the Young Adventurer showings, Too Cool for School sessions and Teen Screen showcase. For the full breakdown of film sessions and ticket details, head to the What’s On pages at www.shaff.co.uk. All the information on the events taking place as part of the The Outdoor City Weekender are available at www.theoutdoorcity.co.uk.